Man, have I ever been productive this month. Sure, I don't have any job interviews yet but I managed to finish off two projects within a span of a week. 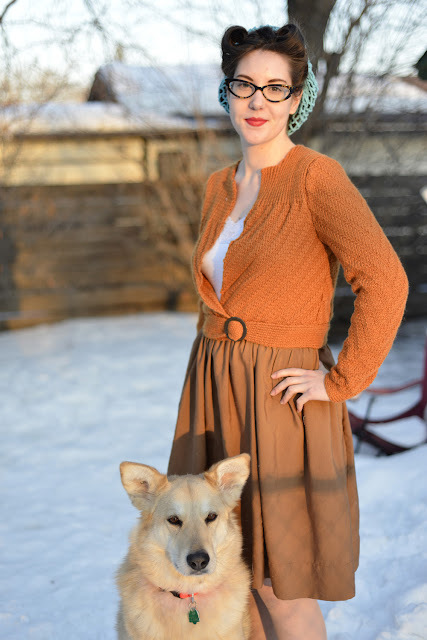 The first project I finished was my Datemaker cardigan, which I started on right after Christmas. It wasn't the fastest knit in the world, but I love it! The pattern is great and very easy to follow. 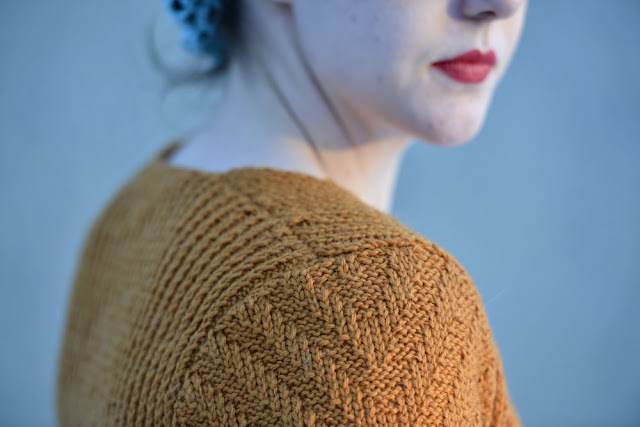 While I was intimidated by it at first, I was relieved to realize it was just diagonal ribbing. I didn't resize the pattern because according to my gauge match it would fit me perfectly. However, I ended up not seaming in the belt all the way so I could cinch it up a little more. This makes the cardigan "wrap", and I also sewed in a snap with invisible thread so it stays closed. I also put a hook on the belt end so I could catch it in a stitch and it wouldn't flap around. method. I love how my seams turned out! So neat and tidy. The second project was Butterick 4790, aka Misses' Wrap Dress, aka I hope you like binding with bias tape because that's the bulk of this project. Before starting the dress, I heard a lot of complaints about the fit of the dress, so I went looking for reviews and tips on what to do. The best one I found is from Edelweiss Patterns, who notes that the reissue is actually a different bodice shape than the original drawings on the envelope, and provides a fix. I was going to do the fix but then forgot during my cutting out. Oops. 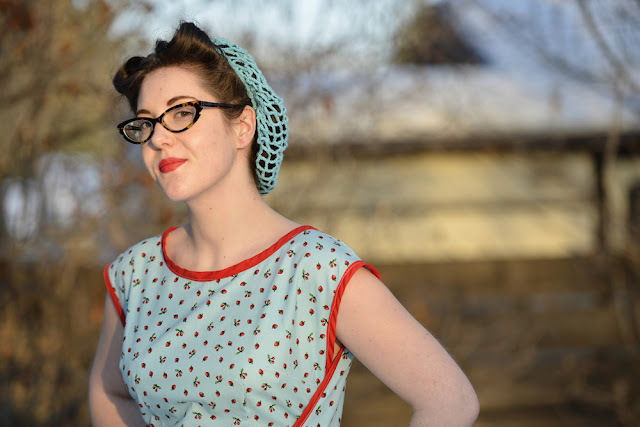 Katrina also notes that the dress should be worn with the proper undergarments (I'm wearing a WKD bullet bra here) and a petticoat (which I'm not wearing because I'm the only vintage girl in the world without a long one). However, I'm really happy with my results. This is only my third sewing project, so it's quite rough around the edges, but I'm pretty proud. I'm sure in a year or two I'll look back and hate it, but for now, I love it. Beautiful work on the cardigan, set in sleeves and sewn on edges!! Yikes, haven't tackled those finishing details for years. Love the dress! Mid length crinolines are hard to find. Incredible work across the boards, Laurie! I adore both ensembles and am thoroughly doffing my (vintage) hat over here to the splendid job you did on these timeless garments. Those look brilliant. The cardigan must be very welcome in the cold weather, but it's nice to have things for spring too.